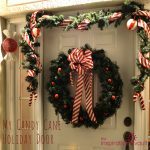 Are you ready for a quick, inexpensive, and super cute wreath craft!? 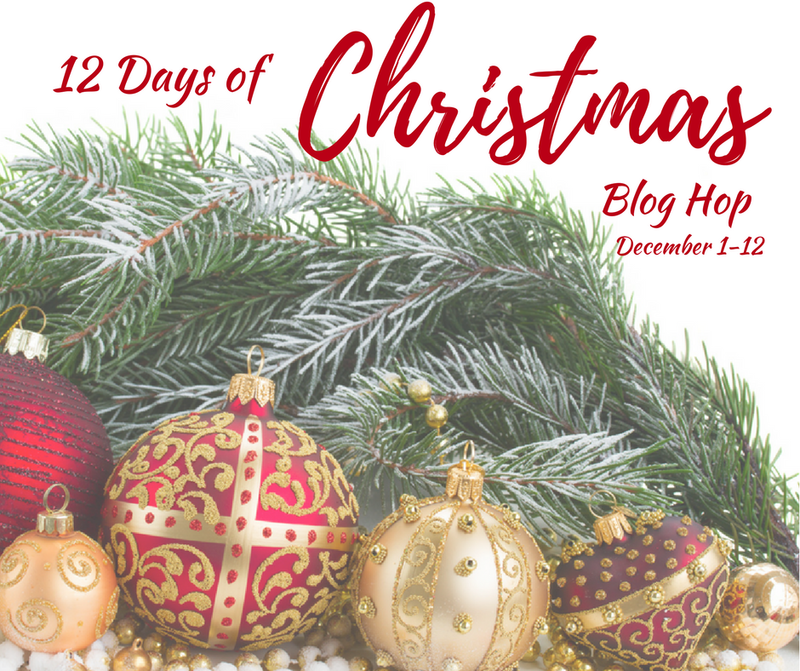 For the 9th day of the 12th Days of Christmas, we all made Christmas wreaths. 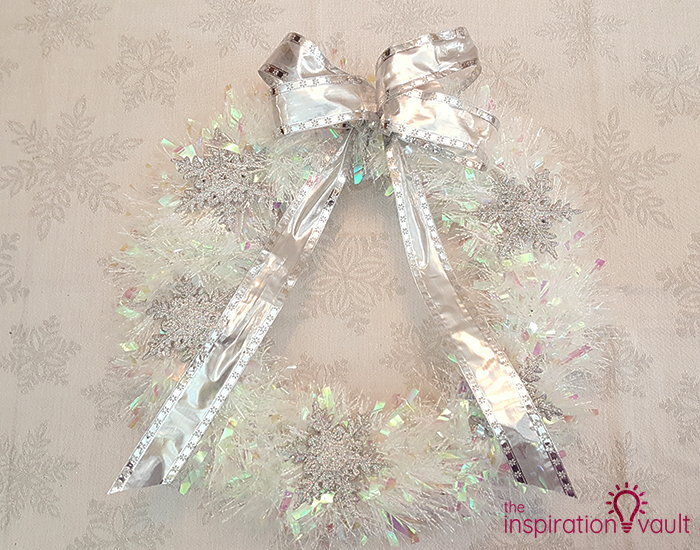 If you’ve been on our site before, you’ll know I love trying out new wreath techniques. 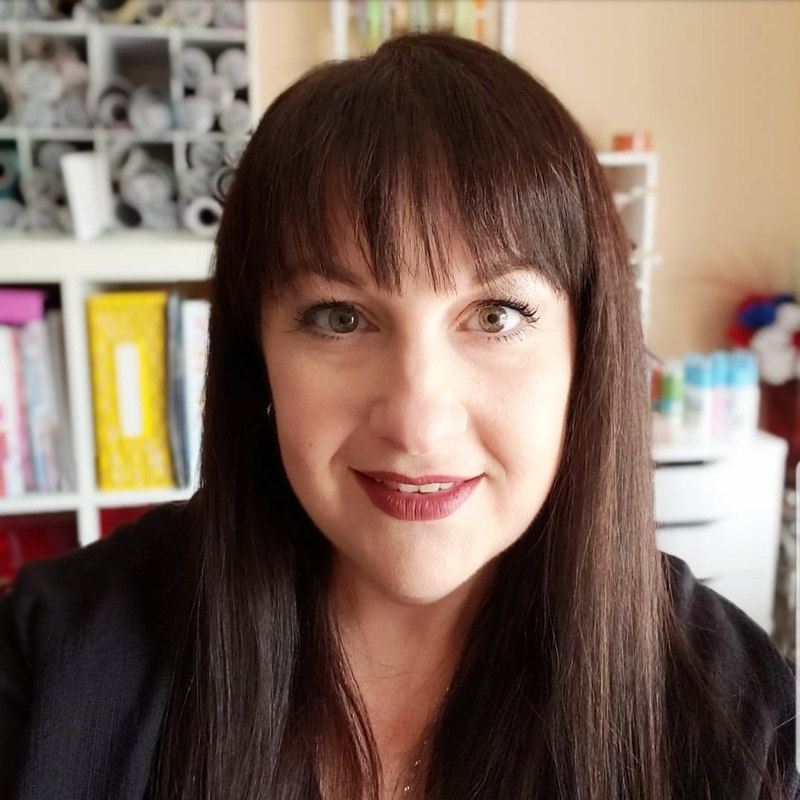 For this one, my inspiration came from a live craft video from Michael’s. The lady took one of those wire wreath forms (I had some from Dollar Tree) and hot glued some ornaments on them. Voilá! Instant cute wreath. 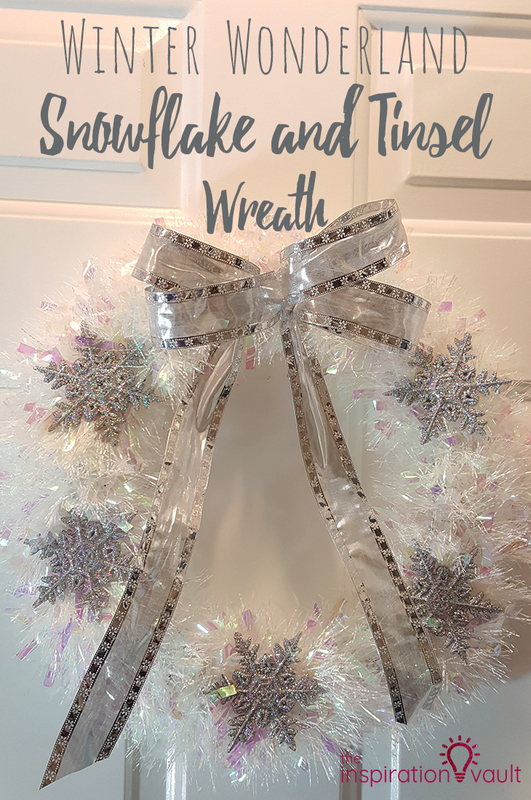 I decided to make this Winter Wonderland Snowflake and Tinsel Wreath using white iridescent tinsel garland and silver snowflake ornaments I had on hand. 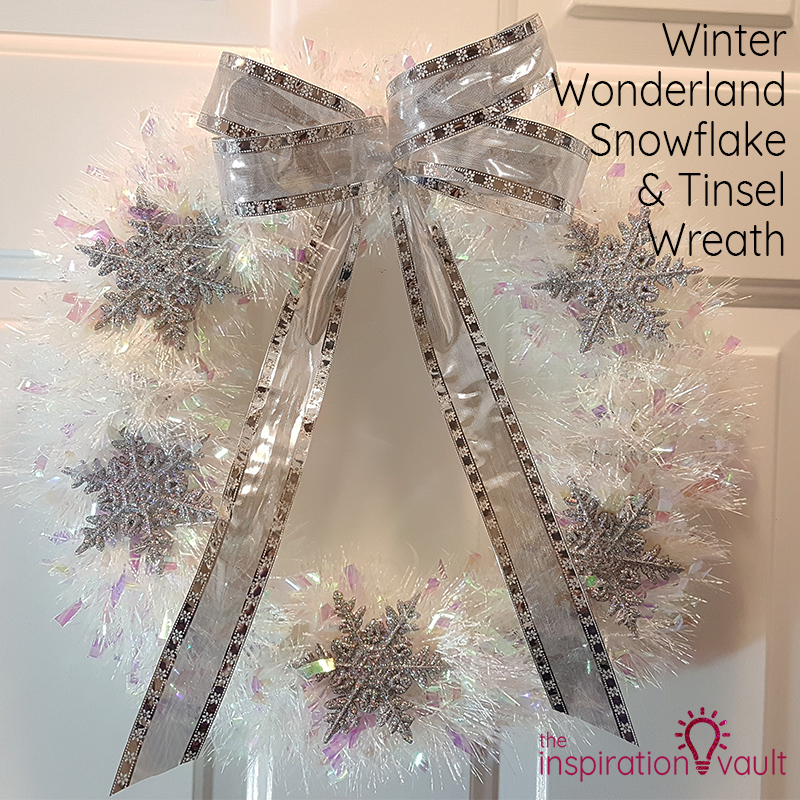 You could theoretically make this wreath for a whopping $3 if you find colors you like. Okay, let’s see how easy this is to make. 1. 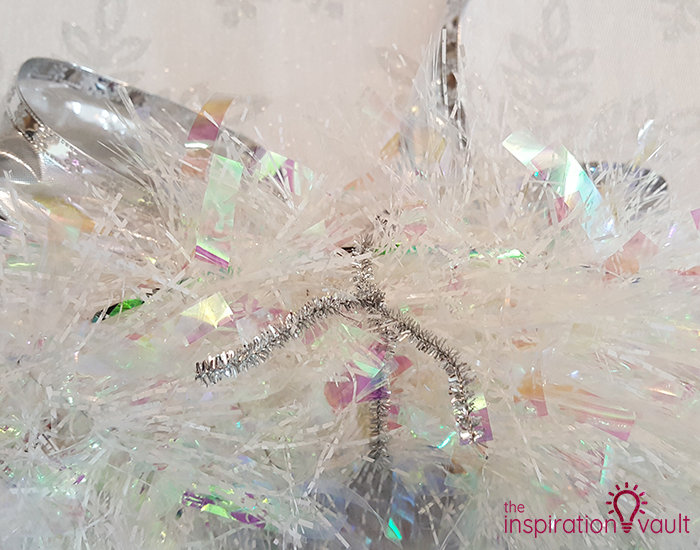 Take one end of the tinsel garland and wrap and tuck it into the wire wreath form. 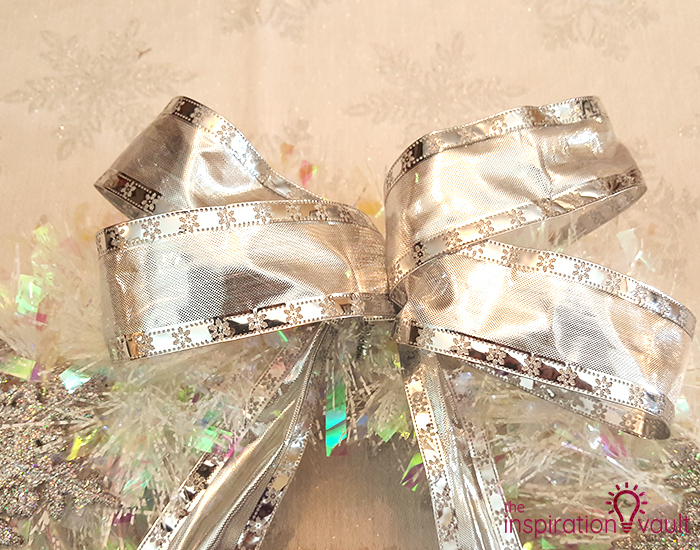 Wrap the garland around and around the wire wreath form. You should have exactly enough garland to wrap the entire wreath form. 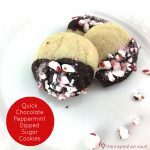 When you get to the end, tuck that into and around the wreath wire. 2. 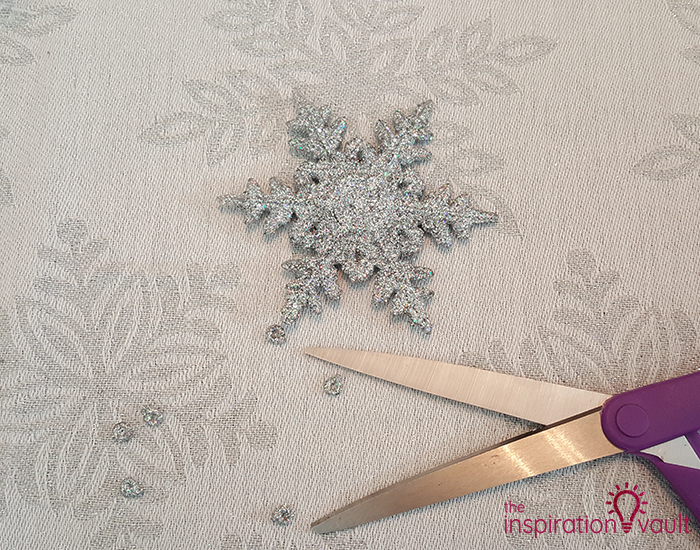 Take your snowflake ornaments and trim off the little hanger loops at the top. 3. 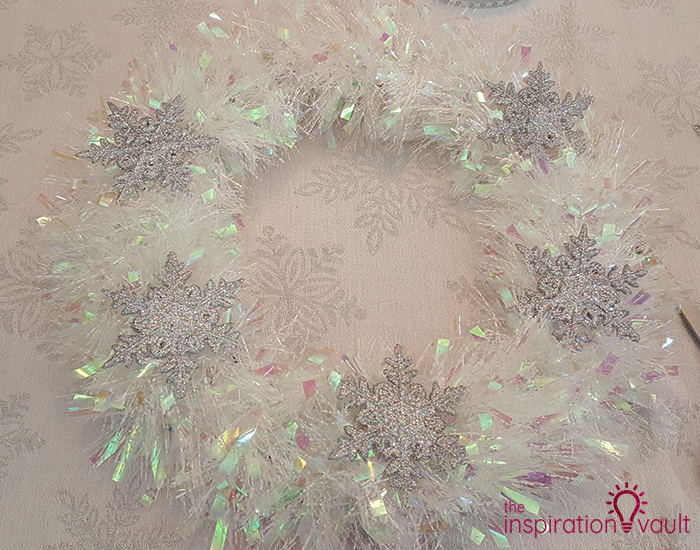 Hot glue the snowflake ornaments onto the wreath. Be sure to press them down firmly so they glue on snugly. Leave room for the bow at the top. 4. 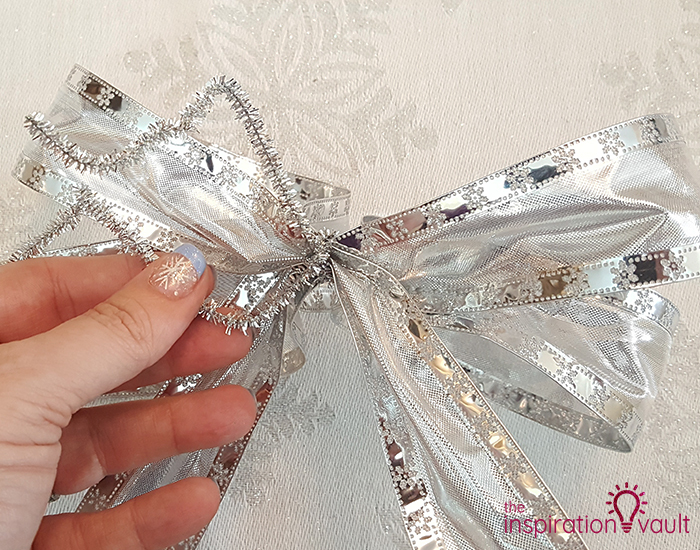 Tie the silver ribbon into a big bow and close it with the silver pipe cleaner. Okay, real talk. I am a terrible bow maker. 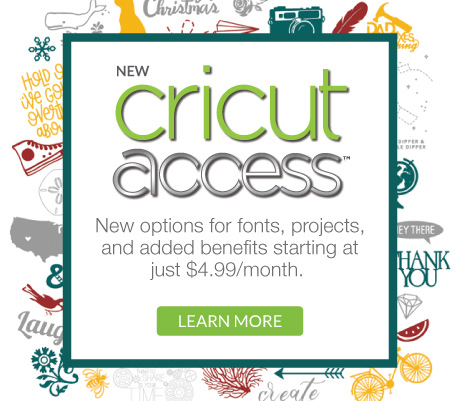 I get the concept and understand the steps, but they still end up looking…meh. That’s the super secret reason I usually don’t put bows on my wreaths. 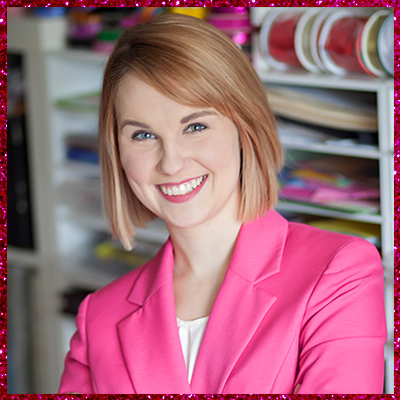 Santa needs to bring me one of those bow maker helper things for Christmas. Or maybe I’ll start a Go Bow Fund Me page. I promise if I get one, I’ll come back and remake this a better bow. 5. 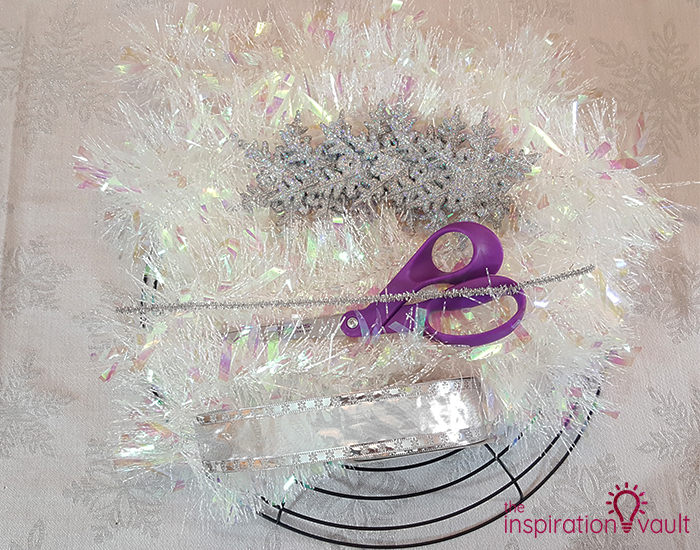 Attach the bow to the wreath with the pipe cleaner and shape it. That’s it! 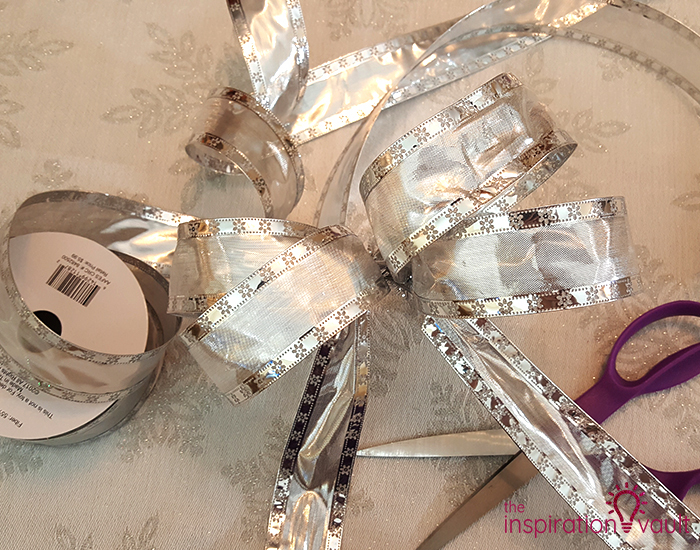 Who knew you could make a wreath in five easy steps? 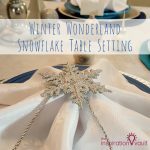 This Winter Wonderland Snowflake and Tinsel Wreath will look perfect in my Winter Wonderland themed dining room with my white Christmas tree. Living in all of this warm weather in Florida, I really need a cool and icy room to make it feel like winter here, lol. 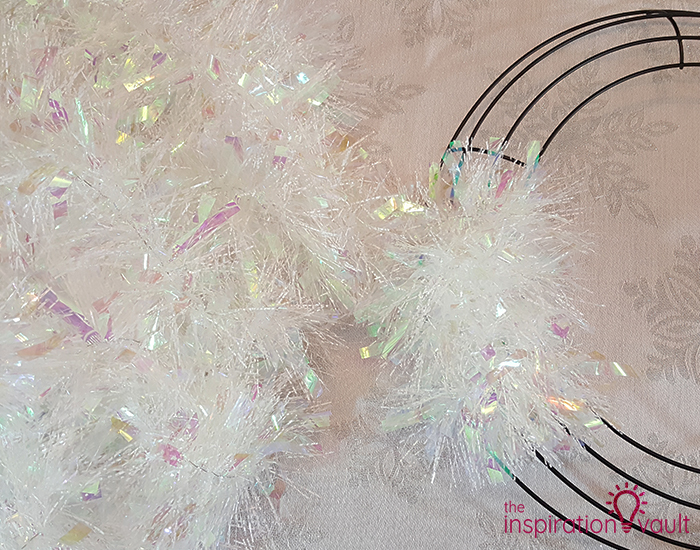 If you want to see how you can make a similar wreath but with a feather boa, you’ll have to see our Easy & Thrifty Mardi Gras Wreath. 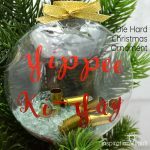 If you want loads more ideas for winter or holiday wreaths, you absolutely should check out all of the gorgeous projects over at All Free Christmas Crafts. So sparkly! I bet it would look amazing against a black door too! 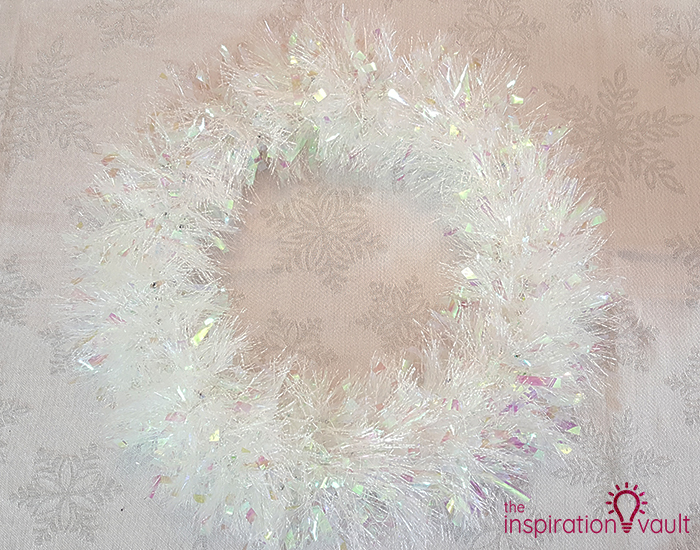 This wreath is so glittery & sparkly. I love it! 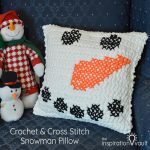 Perfect for winter to!